All questions regarding the cruise, travel, hotel, and travel insurance should be directed to Continuing Education Inc. by calling toll free 1-800-422-0711. If you have questions about the educational content, class agenda, handouts, independent study, please contact Lucille Sollazzo, BSN, RN, Associate Director, Nursing Education & Practice Department at lucille.sollazzo@nysna.org; or call 212-785-0157 or toll free in NY 1-888-551-3112. The practice of nursing has always included controversies regarding best care practices for our patients. Controversial issues in nursing practice encourages discussion of research, best practices, experiences, and ultimately results in improving the quality of care we provide our patients. Because of the vulnerability of patients, nurses struggle over ethical and practical resolution of numerous controversial issues. This program will provide a forum for knowledgeable debate on the important issues that nurses face today, including medical cannabis, savior siblings, exclusion criteria in organ transplants and emergency services, futile care, DNA banking, and chemical sterilization. The current state of knowledge, questions to be answered, and future directions will be analyzed. This program will provide nurses the opportunity to reflect on conflicting viewpoints and develop your own thoughts on demands being made for the nursing profession and the difficult issues affecting today's health care delivery and nursing practice. Nurses have a legal and ethical obligation to respond to the request for care. The legal implications of nursing practice are tied to state licensure, state scope of practice laws, state public health laws, federal constitutional law, federal healthcare laws, professional standard of practice guidelines, and a public expectation that nurses practice at a high professional standard. The nurses education, license and nursing standard provide the framework by which nurses are expected to practice. As travel and electronic communication erode geographical barriers between patient and provider, new models for care delivery are emerging. As care delivery models change, nurses must reflect on their practice and be vigilant about new and developing ethical issues, particularly in those areas where controversies exist regarding best care practices. Therefore, it is incumbent on us as nurses, both locally and nationally, to understand ethical issues that may come from entering into practice without traditional time and space boundaries, nurses should assess the pros and cons of interstate practice laws for nursing in the United States and its territories As we embark on a new era of licensure regulation, nurses should dialogue on the pros and cons of interstate practice laws for nursing in the United States and its territories. Critique the pros and cons of interstate practice laws for nursing in the United States and its territories. Medicaid reform through the Delivery System Reform Incentive Payment (DSRIP) program has the potential to improve community health and the quality of healthcare for our patients and to create good jobs in nursingfrom care/case managers to nurse practitioners. But DSRIP could also spur provider mergers and create barriers to equal access to quality patient care and push patients out of hospitals into outpatient and home settings without sufficient (if any) RN staffing. This New York State case study will prepare nurses and other healthcare professionals to advocate for our patients and our professional practice in DSRIP. Recognize one positive and one negative potential outcome for patients from DSRIP Medicaid reform. Identify one positive and one negative potential outcome for nurses and our practice from DSRIP. Recognize how RNs and other healthcare professionals can advocate for positive DSRIP outcomes for patients and care givers. The US Department of Health and Human Services has identified Opioid abuse as a serious public health issue. Drug overdose deaths are the leading cause of injury and death in the United States. Prevention, treatment, research, and effective responses to rapidly reverse opioid overdoses are critical to fighting the epidemic. Nurses, as patient defenders and the most trusted professionals, are committed to help treat and prevent opioid dependence and overdoses which have grown to epidemic proportions. This NY case study will review the role of an RN in responding to this public health crisis. Recognize the NY State Law requirements of registered nurses in regards to medical protocols of drug treatment. List two of the indicators of when an opioid overdose can occur and two of the signs of opioid overdose. Identify two of the actions nurses working as community advocates, educator and providers of critical public health services can take to address the opioid epidemic. Since 1970, records show an escalation in the intensity of tropical cyclone activity in the North Atlantic, which scientist suggests correlates to the increase in sea surface temperatures due, in large part, to manmade greenhouse gas emissions. The change in climatic temperatures has been associated with heavy rains extending hundreds of miles inland further increasing flood risk. Evidence and real-world events have illustrated that hospitals cannot be successful in response to climate change disasters without robust community healthcare coalition preparedness&dash;and engaging critical partners. Critical partners include emergency management, public health, mental/behavioral health providers, as well as community and faith-based partners. Together these partners make up a community&apos;s healthcare community coalition. A key goal of nurses is to strengthen the capabilities of the healthcare community coalition, not just the individual hospital in which the nurse is employed. Healthcare community coalitions are part of a community&dash;wide planning for healthcare resiliency. Understand why healthcare organizations, community and government groups need to join together to meet the needs of the community in the event of a disaster. The New York State Nurses Association is accredited as a provider of continuing nursing education by the American Nurses Credentialing Center&apos;s Commission on Accreditation. The New York State Nurses Association is accredited by the International Association for Continuing Education and Training "IACET" and is authorized to issue the IACET CEU. Balcony (BA) - These staterooms are forward or aft and are located on a high deck. They can sleep up to three guests and include two lower beds that convert into a queen-size bed, a sitting area and floor-to-ceiling glass doors that open to a private balcony and an amazing view. Approx. Size: 178 sq. ft.
Balcony (BE) - These staterooms are forward or aft and are located on a high deck. 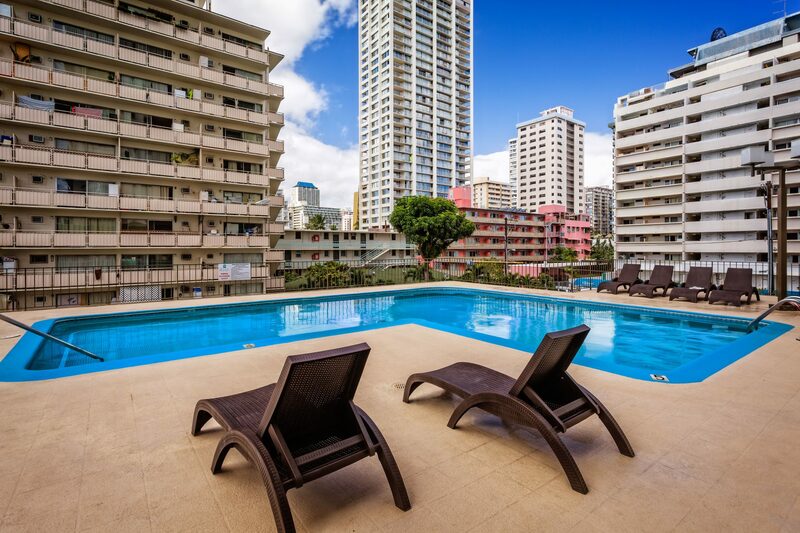 They can sleep up to three guests and include two lower beds that convert into a queen-size bed, a sitting area and floor-to-ceiling glass doors that open to a private balcony and an amazing view. Approx. Size: 178 sq. ft. Inside Stateroom (IB) - An Inside stateroom is the most affordable way for you to cruise. These staterooms can sleep up to four guests, with two pull-down beds and two lower beds that convert into a queen-size bed. Approx. Size: 132 sq. ft. 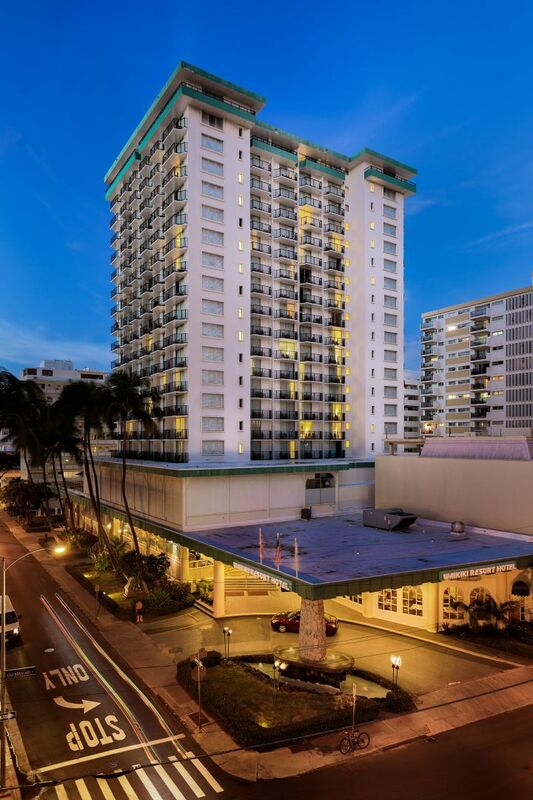 Located just steps from the world famous white sands of Waikiki Beach and premier shopping on Kalakaua Avenue, the Waikiki Resort Hotel in Honolulu offers first rate services and deluxe amenities at a great value. 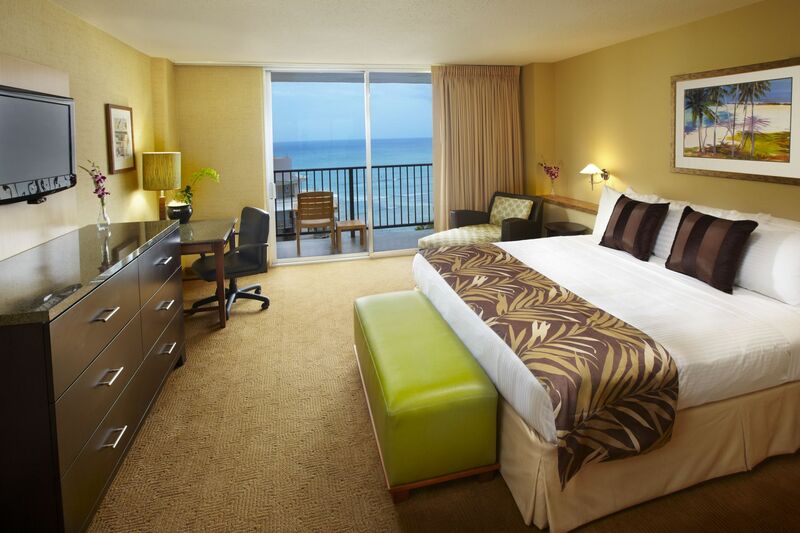 Enjoy spectacular ocean, mountain or city views from your room, and simply unwind, Hawaiian style. 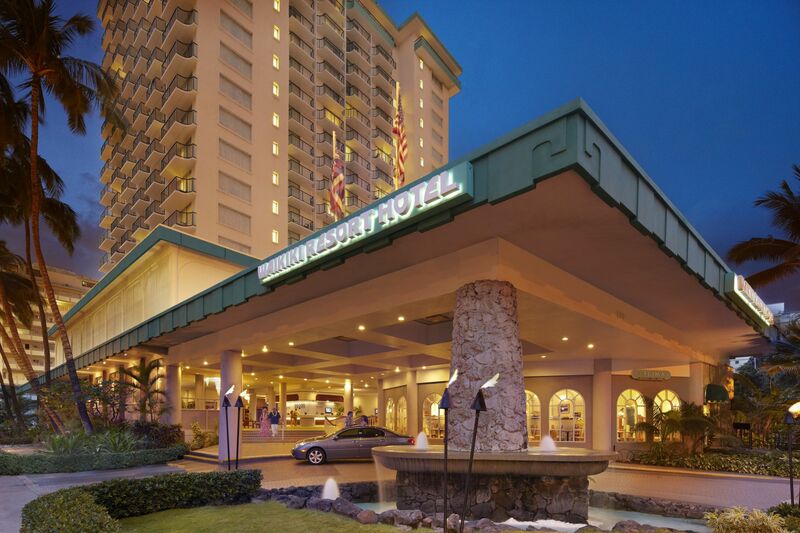 We are located just 12 miles from Honolulu International Airport, four miles from Downtown Honolulu&apos;s financial district, two miles from Ala Moana Shopping Center and within walking distance from the beach, Honolulu Zoo, Kapiolani Park, Waikiki Aquarium, International Marketplace and Royal Hawaiian Shopping Center. 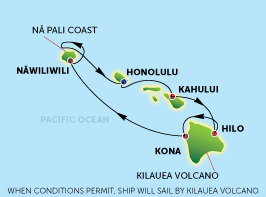 Additional per person fee: $40 plus applicable taxes, includes one roll away if needed. Only one roll away per room is allowed. Maximum room occupancy is (4) four guests. No additional person charge will be assessed for minors 17 and under, sharing the room with parents and using existing bedding. 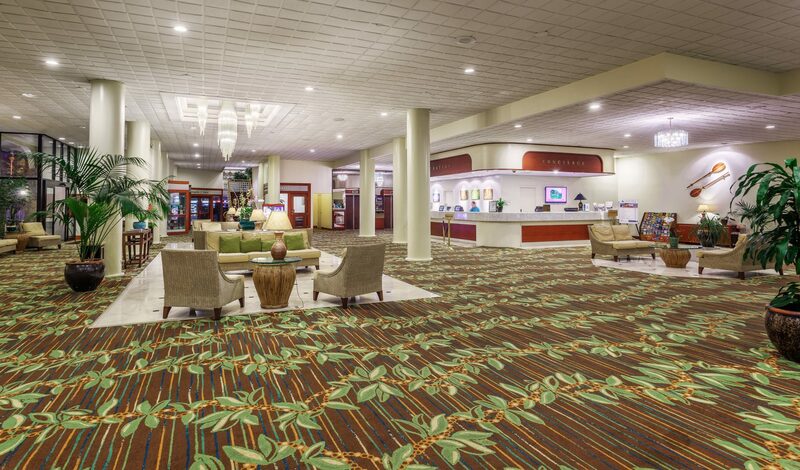 Taxes: Room rates are subject to Hawaii State Excise Tax of 4.712% and Transient Accommodations Tax of 9.25%=13.962% per room per day (Subject to change based on state law). Porterage: $8.90 tax inclusive per person, round trip. (subject to change). One night deposit due at time of reservation. Hotel cancellations received on or after October 25, 2017 will forfeit the one night deposit.